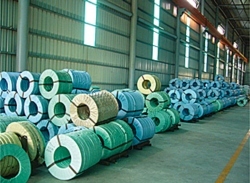 Founded in 1976, Young Lee Steel Strapping Co., Ltd. sold soft packing materials and packing machinery in its initial stage, and started to provide steel strapping bands, steel buckles, steel furniture tubes, cold/hot-rolled steel (plates) rolls, and galvanized steel (plates) rolls in 1980. 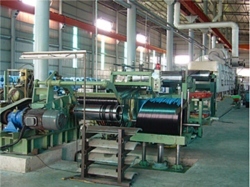 In 1998, we established a factory making steel straps、steel strapping bands and steel furniture tubes、steel pipes, which also works with downstream manufacturers to provide bathroom and furniture hardware, grills, and display racks, among other items. We are also an asia agent fot steel strapping tools of COLUMBIA,M.J. MAILLIS GROUP. We welcome players in the industry to cooperate with us in developing new products and to act as our agents overseas. We can also provide procurement services by purchasing whatever you need from the domestic and China markets.